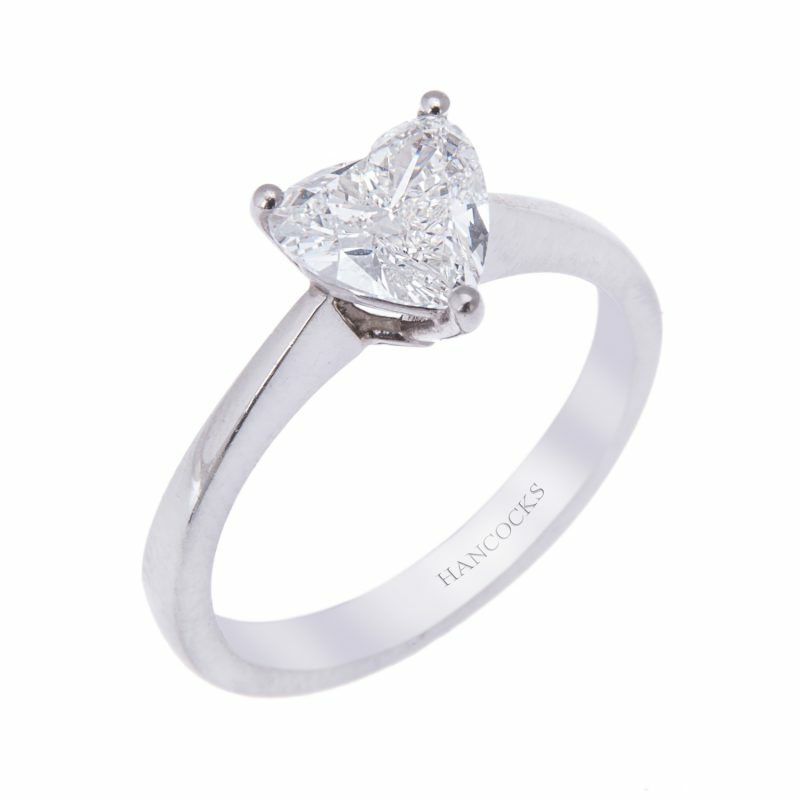 A ring to suit lovers of vintage design and sophisticated elegance. 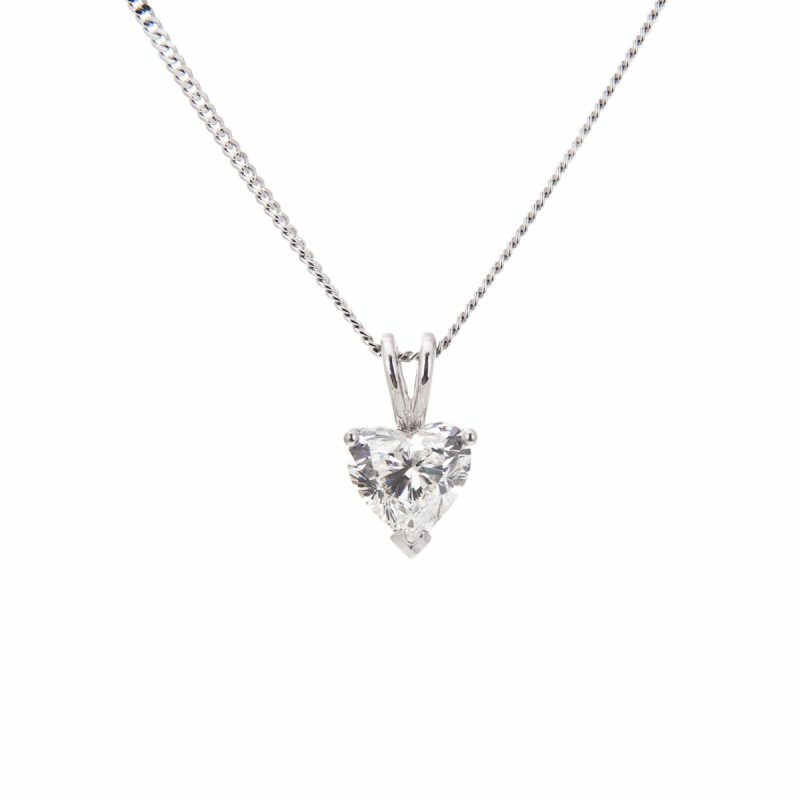 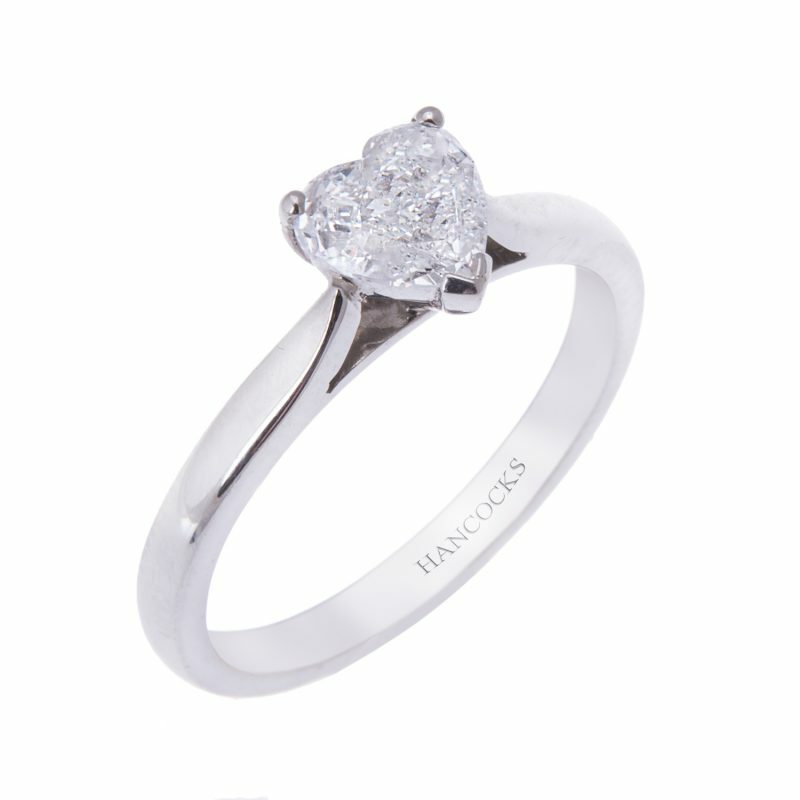 Claw set with a certificated heart shaped diamond with classic polished platinum shoulders. 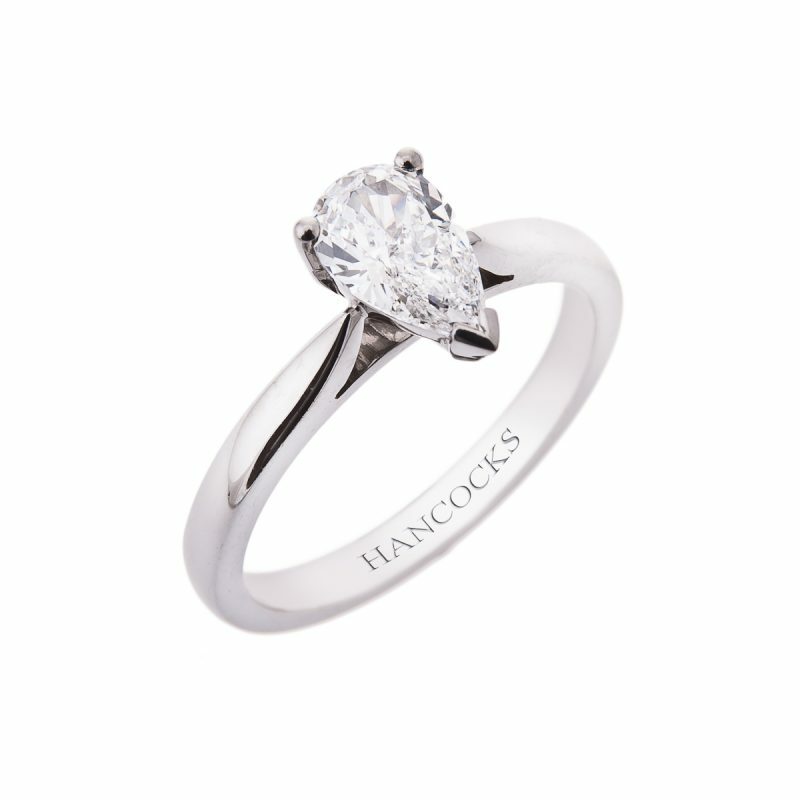 The perfect balance of bold design and classic elegance with platinum engagement ring. 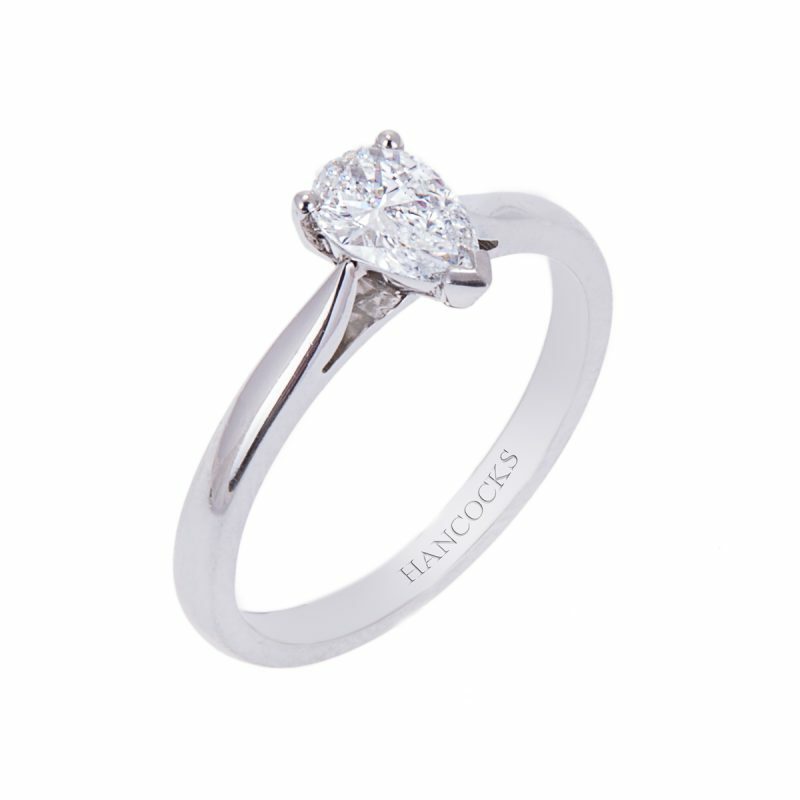 Its unique style of mount has an under-wire bezel that will allow a matching wedding band to sit absolutely flush.